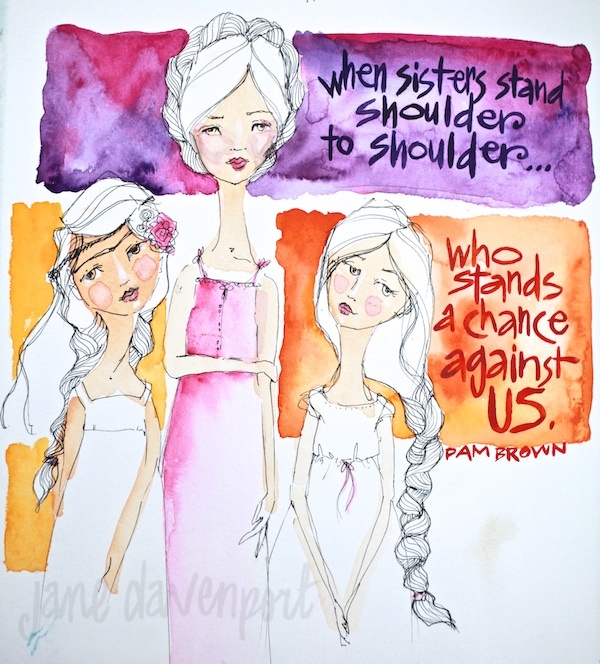 Whimspirations: ....Come join Jane and Me! ....Come join Jane and Me! Stop on over to Jane's website for all the details. We've added some BIG BONUS LESSONS this time around! Miss Quoted is going LIVE on April 4th! 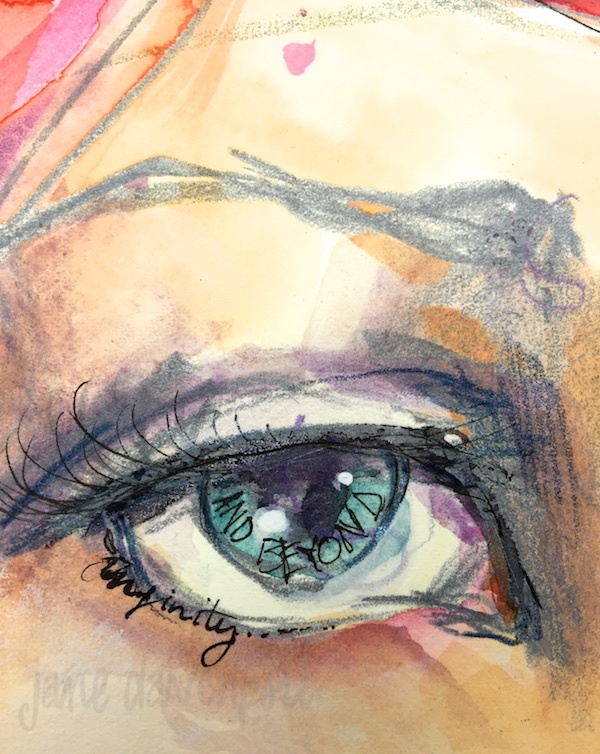 Maybe you have just discovered a new-found love of watercolor and ink with my Mermaid Markers, INKredible pen and watercolour palettes? Maybe you already looooooove watercolour and ink! In Miss Quoted you learn how to mix colours and use your supplies to keep colours fresh! 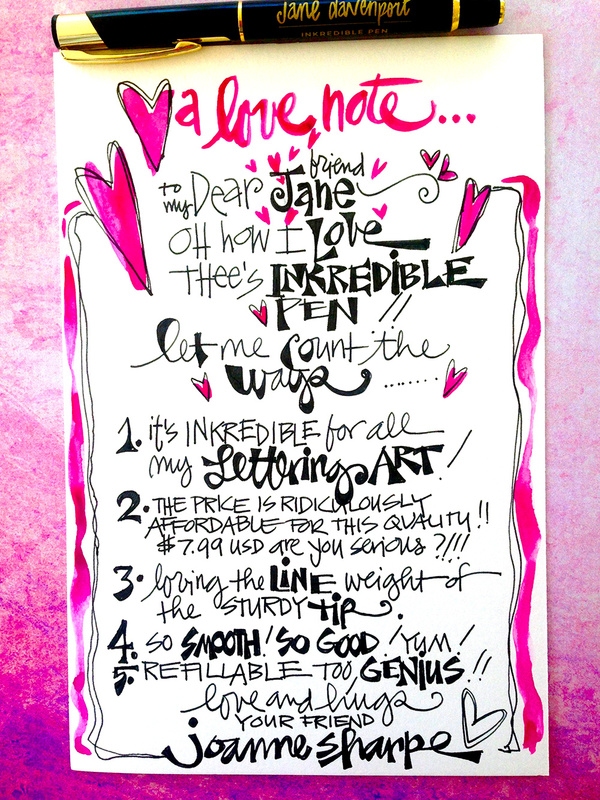 This workshop is a unique collaboration with best selling author and the 'Queen of Lettering herself, Joanne Sharpe. 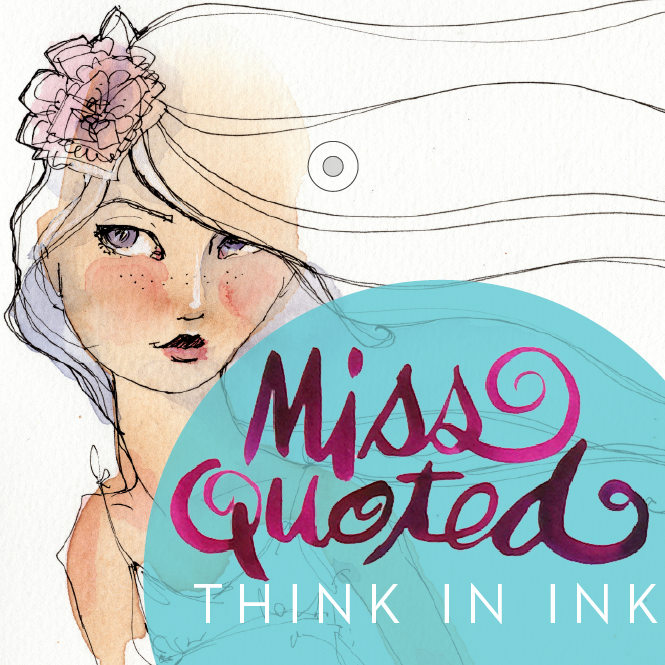 When we combined our expertise for Miss Quoted, we created a delightful mix of artful lettering and lettered art! 2: I came to accept my own hand script and enjoy my own artful writing. So much so, that when I created my Mixed Media Collection with American Crafts, I used my own quirky lettering for papers, stickers and tapes. So I know that 'Miss Quoted' delivers a major confidence and skill booster! 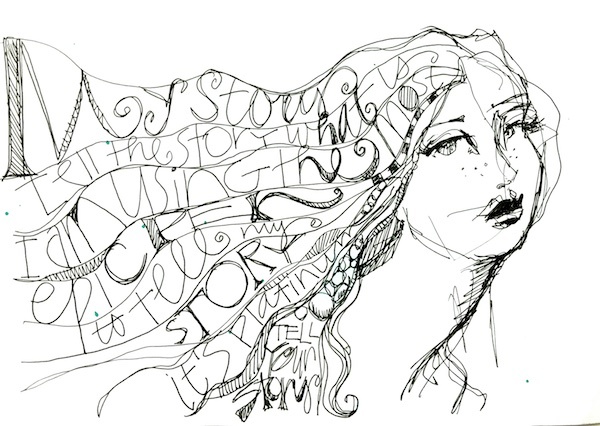 What I bring to the workshop is specific lessons on drawing whimsical, artful girls. I introduce my famous 'Birthday Suit' technique, and show you how to draw braids ( I call it Doodling and Strudeling!). We have innovative techniques to help you select colours for your art, how to audition ideas and then add artful lettering if you want to. You may be wondering what supplies you need. Both Joanne and I recommend to use whatever you have, but we also share our favourites! We are also updating the workshop with new lessons to include some of my new JDMM art supplies! Mermaid Markers, my Petite Palette Watercolours, Aqua Brushes and INKredible pen would be perfect! I hope you Join me and the watercolours ( and the inks, and pens and Jo! lol!) in Miss Quoted. It's a wonderful basis for further watercolour exploration and can only grow your lettering confidence! You and jane are doing a great job. You both are very good painters that i can see in the portraits you made. I really like your work its very impressive. ...LOOK WHAT'S UP NEXT FOR MAY!